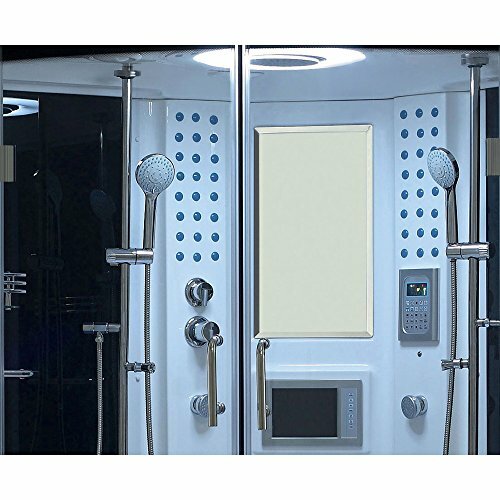 Lifetime Bath 16 jet Hydromassage Bathtub Convenient Strada Steam Shower Enclosure Unit – 64.1″L x 64.1″W x 87.8″H | Steam Shower - Bathroom Showers- Infrared Sauna - from SteamShowerDealer.com | SteamShowerDealer is your #1 source to buy designer and comfortable steam showers, steam spas and Infrared Saunas and accessories at discounted prices. 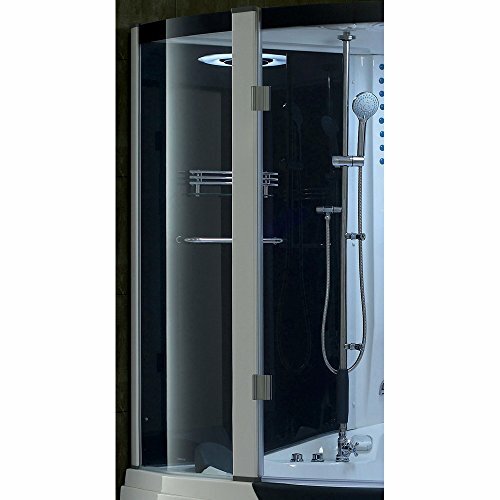 Fog Free Mirror: The Fog Free Mirror inside the Steam Shower Unit stay fog free in the steamiest conditions. 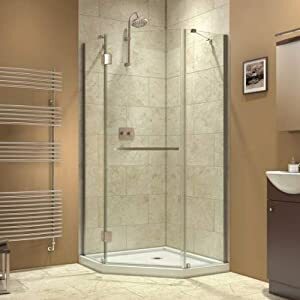 Hand Grips: You can easily sit and stand inside the Steam Shower Unit using the grey hand grips. Storage Shelves: This unit was designed with spacious storage shelves. 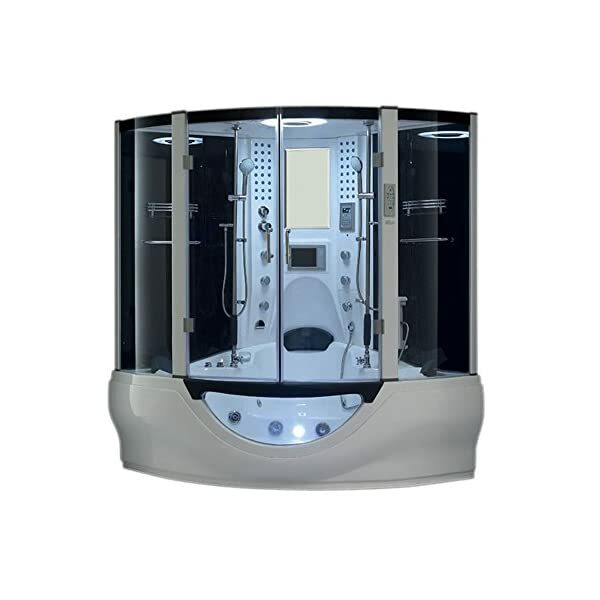 Foot Massage: The removable foot massage inside the Steam Shower Unit puts mechanical force and hydro pressure together. Ventilation Fan: The Ventilation Fan keeps heat and air density at a desirable level inside the Steam Shower Unit. 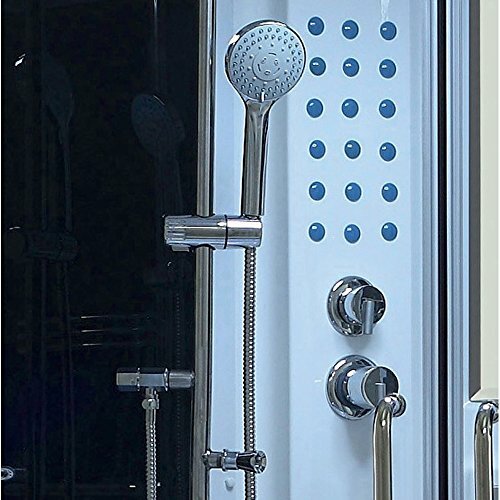 Strada steam shower provides luxuries have compatibility for royalty and a lot of room to calm down as stress melts away. 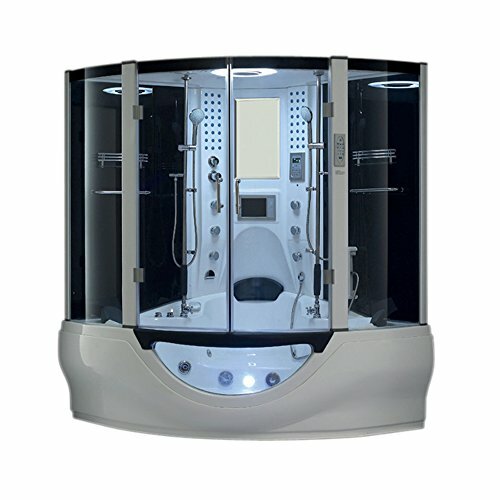 The indented seating has both back massage and overhead jets to move in conjunction with the 16 jet hydromassage bathtub, convenient and plentiful shelf space, full sized mirror and mono speaker system.With ten shower jets and sixteen heated whirlpool hot tub jets, the Strada offers superior rejuvenation for 2. A ceiling rain shower delivers a gentle glide of warm water, at the same time as the jetted tub soothes sore muscles in seconds. A built-in FM radio station ensures everybody’s favorite tunes are only a button away. 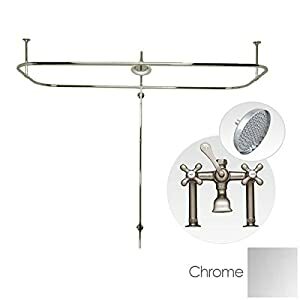 Watch your favorite movie on TV at the same time as enjoying your bath. 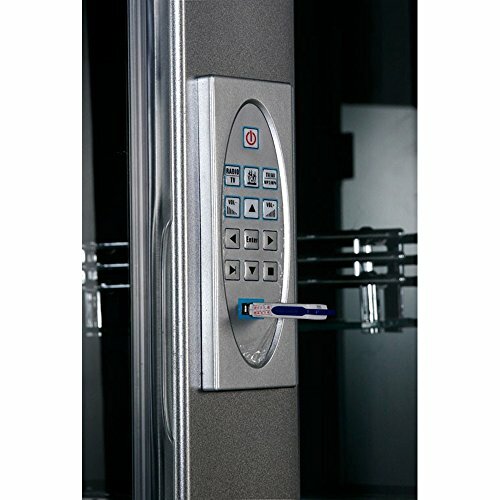 This unit is made to suit conveniently within the corner of your room. 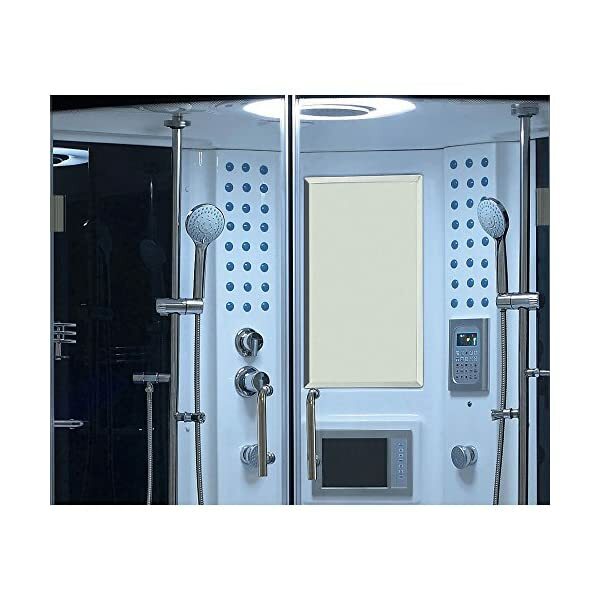 We are confident that you are going to indulge in a state of complete relaxation and tranquility with all of the features of this steam bath enclosure. 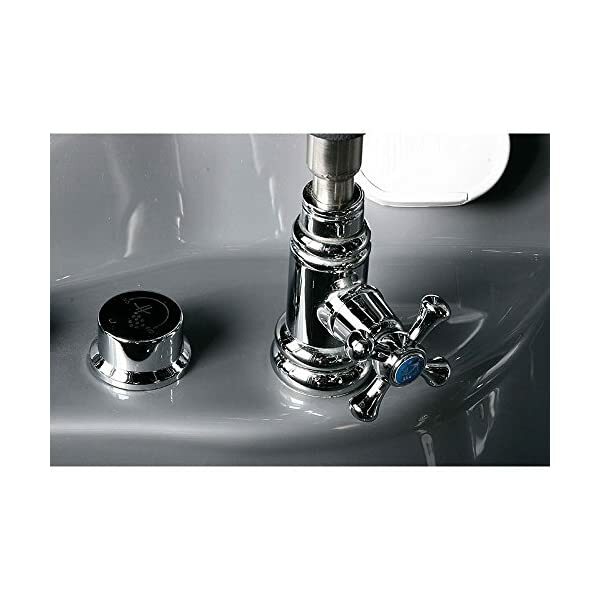 Technical Specifications: Product Dimensions: 64.1″L x 64.1″W x 87.8″H, Whirlpool Water Capacity: 110 – 170 Gallons. Minimum Water Pressure Required: 57.14 psi or 4 Bar. Maximum Water Pressure Required: 114.29 psi 8 Bar. Really helpful Water Pressure: 85.72 psi or 6 Bar. Water Temperature: Minimum 5 deg C (41 deg F), Maximum 60 deg C (140 deg F). Drain Size 1-1/2″. 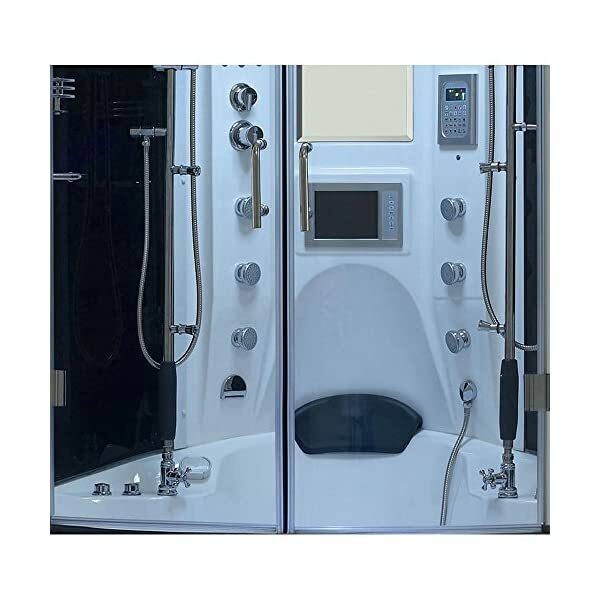 Choice of Jets: 14 Body Massage Jets, 24 Whirlpool Jets, 6 Large Whirlpool Jets. Drain: 10.6 Gal/Min, 40.1 Liters/Min. Water Input: 3.18 Gal/Min, 12 Liters/Min. 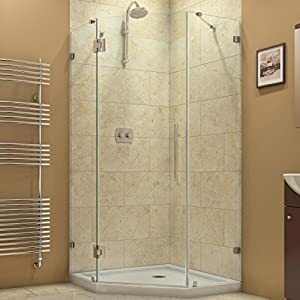 Overhead Shower: 3.18 Gal/Min, 12 Liters/Min. Hand-Held Showerhead: 3.18 Gal/Min, 12 Liters/Min. Body Jets: 2.7 Gal/Min, 10.22 Liters/Min. Whirlpool Big Jets: 70.45 Gal/Min, 266.65 Liters/Min. Whirlpool Small Jets: 46.23 Gal/Min, 175 Liters/Min. 1 Outlet is Required to Run Unit. The system could have one main wire with Black, Red, Yellow, Blue. Voltage Rating: 220-240AC, Ampere: 30 AMP, Amp Power Rating: 4.2KW. 2 Water Pumps: 1160W/220V/60Hz/6A. 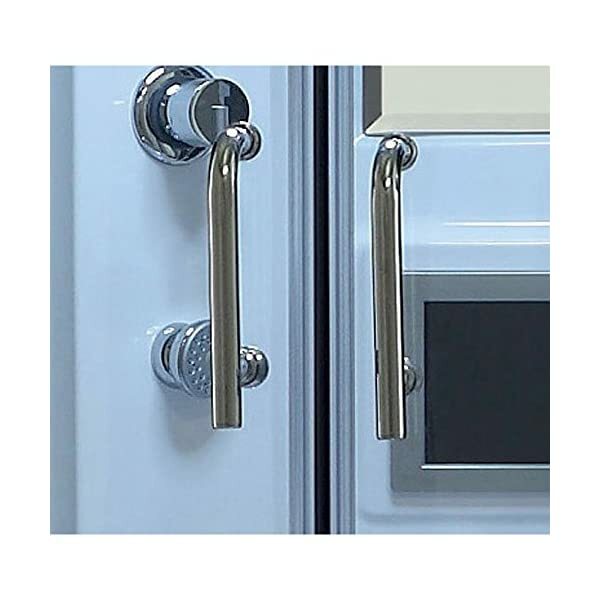 10 Years Warranty on every of our products. 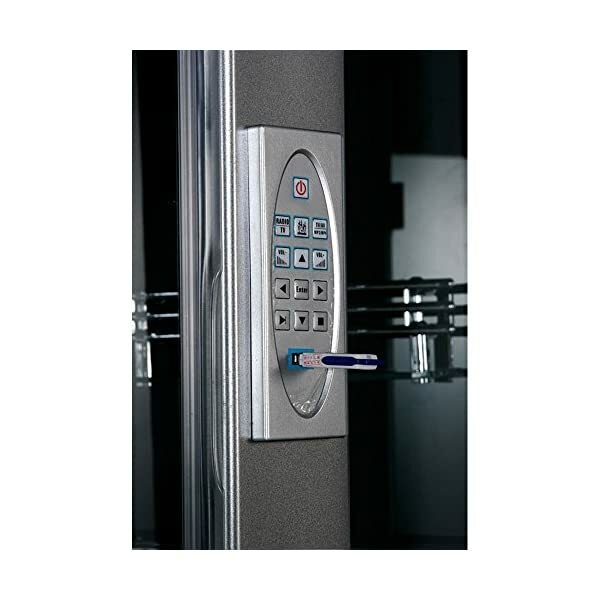 This warranty covers all parts against manufacturing defects that can result in break-downs. 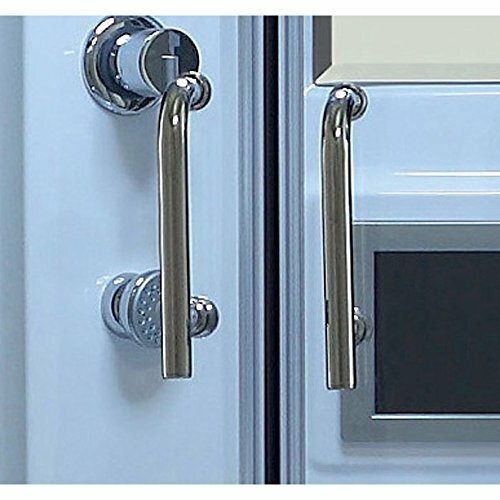 Fog Free Mirror: The Fog Free Mirror Within the Steam Shower Unit stay fog free within the steamiest conditions. 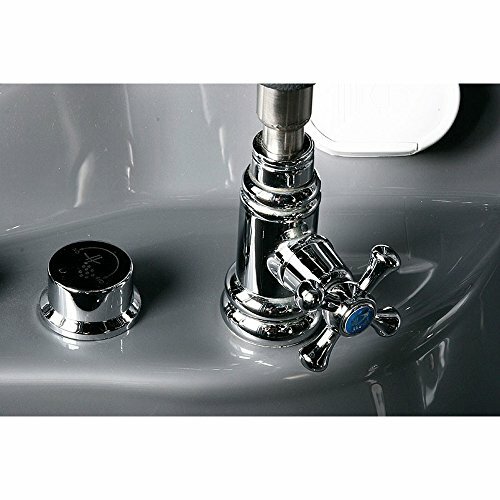 Hand Grips: You’ll be able to easily sit down and stand Within the Steam Shower Unit the usage of the gray hand grips. Storage Shelves: This unit was once designed with spacious storage shelves. Foot Massage: The removable foot massage Within the Steam Shower Unit puts mechanical force and hydro pressure in combination. Ventilation Fan: The Ventilation Fan assists in keeping heat and air density at a desirable level Within the Steam Shower Unit. 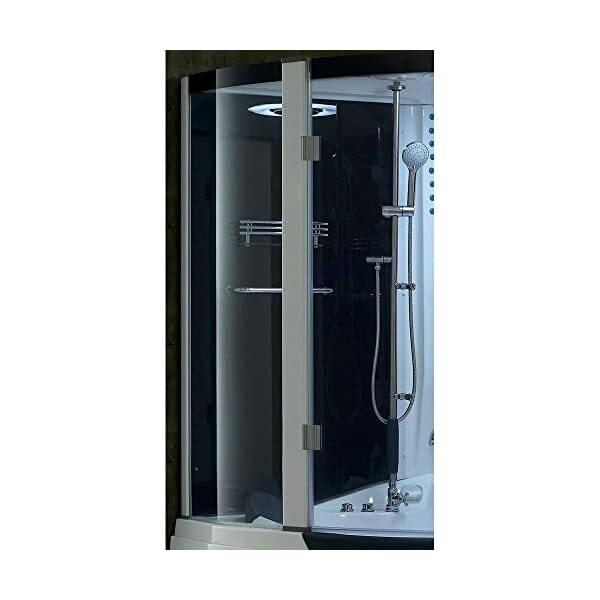 Water resistant 8.4″ inch LCD TV: The Water resistant TV inside of your Steam Shower Unit adds excitement, delivering reside entertainment. 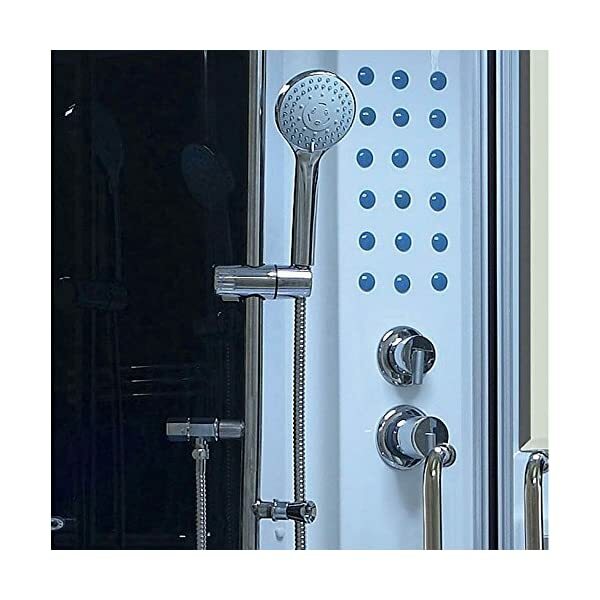 Surround Sound Speakers: The Steam Shower Unit’s Speaker System is integrated with the Telephone and Radio. 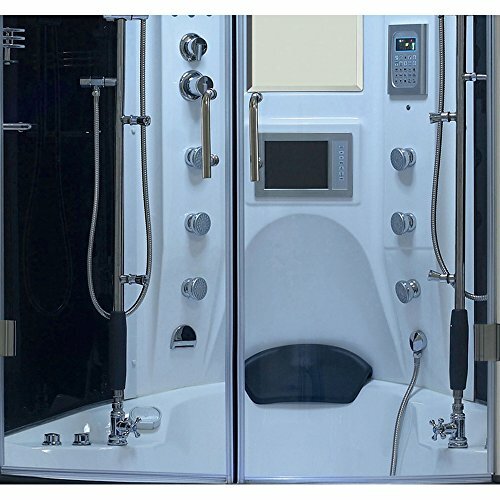 Hands Free Telephone: Your Steam Shower Unit accepts incoming calls with an integrated Hands Free Telephone. Waterfall Inlet: Offers a soothing sound of water falling gently into your steam shower for relaxation effect.